first of all let us wish you a wonderful new year! Make sure to get ready for twelve more months of the best sport on earth: futsal! As promised we're going to celebrate the end of this wonderful (no surprise, it's in the nature and essence of the game!) 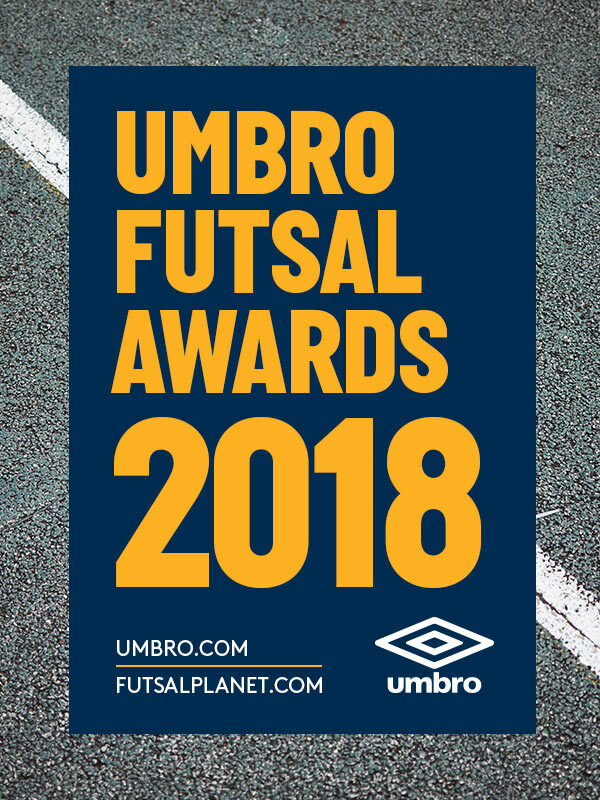 futsal year in a proper way: releasing the UMBRO Futsal Awards 2018 results for each category and their respective winners who will be crowned with the international stage success and honour for the next year. So, let's find out the best in the world chosen by our experts jury. We will be back in (about) twelve months with the historical 20th edition of the Futsalplanet Awards, a special achievement to us! CLICK HERE TO FIND OUT THE FINAL STANDING!